I recently watched a documentary on the discovery of the Mandelbrot Set on youtube and it sparked my curiosity. 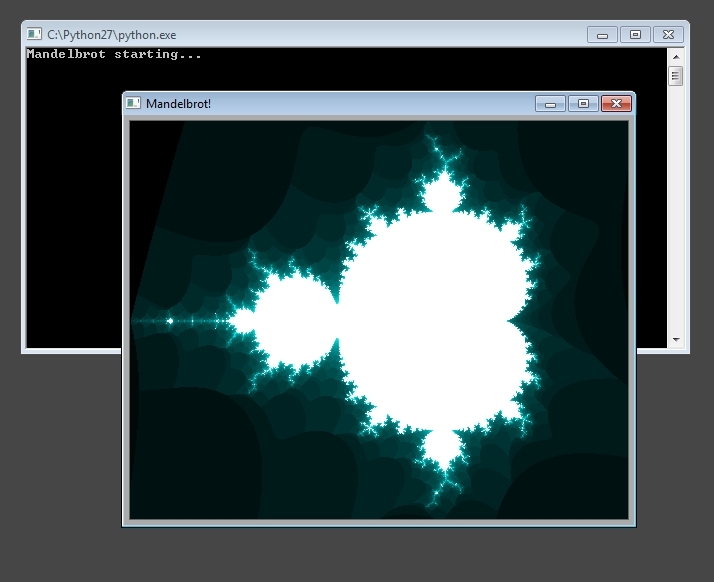 I went ahead and made a little python app that draws the famous Mandelbrot set in a wxpython window. You can see the result of my work and the source code below. It is by no means useful or elegant code but it was a fun exercise!